Do you spend more than 2 hours per day using a computer? If the answer is yes, you may be among the 125 million estimated people suffering from Computer Vision Syndrome (CVS). As a result you may experience symptoms that include: Headache, Loss of Focus, Burning/Tired Eyes, Tearing, Dry Eyes, Red Eyes, Contact Lens Discomfort, Blurred Vision as well as Shoulder, Neck and Back Pain. To eliminate CVS call 603-434-2020 or click to make an appointment. CVS encompasses many different factors that lead to the symptoms noted above. The position of your monitor, size and quality of the print, the lighting in the room, your age and focusing ability of your eyes along with the power of your glasses may all be part of the issue. Do you have eye conditions that may be compromising your visual comfort? 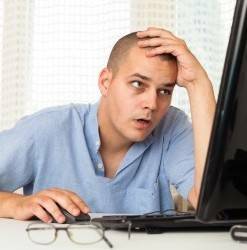 All these factors and more can affect your ability to have a comfortable experience while working at the computer. The doctors at Emery Eye will evaluate your visual needs for working at the computer and determine the best solution. A comprehensive eye examination, a few specific questions and tests can determine if you have CVS. 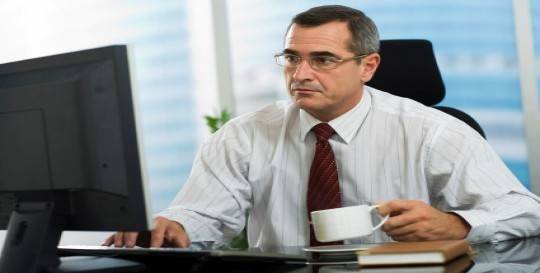 Relief may be as simple as making a few adjustments to your work environment or a specific eyeglass lens designed to give you optimal vision for computer work. This will help make your workday more comfortable and productive. We’ll take the time to discuss all the options necessary to resolve your visual issues.